♠ What is Black Hole? Rajinikanth (born as Shivaji Rao Gaekwad on December 12, 1950 in Bangalore, Karnataka, India)] is an Indian film actor and one of the most influential and bankable movie stars in Indian cinema. <br /> Rajinikanth's mass popularity and appeal is largely drawn from his mannerisms and stylized delivery of dialogue.<br /> He received India's third highest honour, the Padma Bhushan, for his contribution to Indian cinema.<br /> Apart from his film career, he is a well known philanthropist and also serves as a notable influence in the politics of Tamil Nadu. Other than acting, Rajinikanth worked as a screenwriter, film producer, and also a playback singer. Popularily referred to and credited in films as "Superstar" and often called as thalaivar (meaning leader in Tamil), Rajinikanth debuted as an actor in 1975 under the direction of K. Balachander in supporting roles. He was later favored in portraying antagonistic characters and gradually rose to acting in lead roles. Being a well known film artist to several regional film industries of India, he also appeared in the cinemas of other nations, including American cinema. He was reportedly paid Rs. 26 crore (about $5.3 million USD as of January 2009) for his latest blockbuster Sivaji: The Boss, making him the highest paid actor in Asia after Jackie Chan. 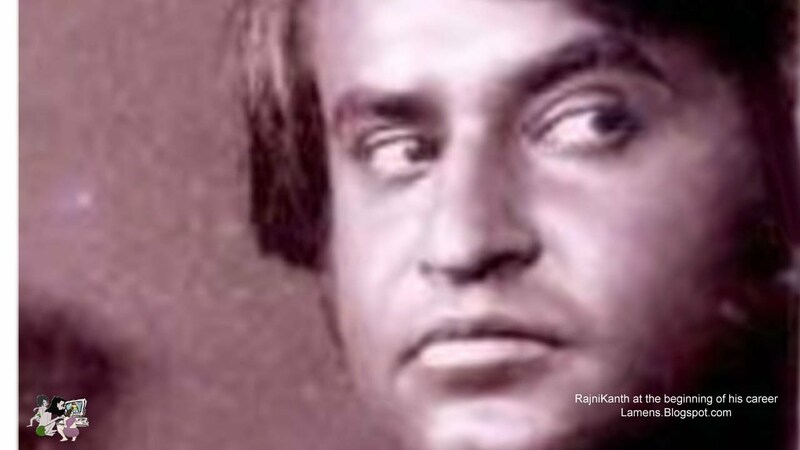 Rajinikanth was born as Shivaji Rao Gaekwad in a Maratha family in Bangalore, Karnataka. His ancestors are from the village of Nachikuppam in Krishnagiri district, Tamil Nadu. He was the fourth child of his parents, Jijabai and Ramojirao Gaekwad, a police constable. He lost his mother at the age of eight. He attended elementary school at the Acharya Paathshala in Basavanagudi, Bangalore and then at the Vivekananda Balaka Sangha. Rajinikanth struggled a lot during his early age because of his family's low income. Although his mother-tongue is Marathi, he has not yet acted in any Marathi films. He worked with various jobs in Bangalore and also attended a theatre for stage plays. Before starting his career in the film industry, he used to practice stunts at the Rama Hanuman Temple at a hill near his house. He then primarily worked as a bus conductor for the Bangalore Transport Service in Bangalore. His charisma and style were noted by the passengers who travelled with him and gave him suggestions in becoming an actor. It was during this time that he nurtured his acting interests by performing in various stage plays. Rajinikanth joined the Madras Film Institute in 1973 along with a fellow bus driver and completed a basic course in acting. Rajinikanth has acted in over 150 films, which includes Tamil, Kannada, Telugu, Malayalam, Hindi, English and Bengali films. Rajinikanth made a foray into Bollywood with Andha Kanoon but did not make as much of an impact as he had in the south. He still appeared in several Hindi films, such as Chaalbaaz, Uttar Dakshan, Geraftaar and Hum. He made his debut in an American film, in a supporting role, with the movie Bloodstone in 1988 with much fanfare in India at the time of its release. However, the movie was unsuccessful in the United States. He also made brief stints in German- and Japanese film industries. His film Muthu was dubbed into Japanese and later turned out to become a major hit in the country, ultimately creating a huge Japanese fan-following for him. In 2005, his film Chandramukhi was dubbed in German and released in all German-speaking nations. He married Latha Parthasarathy, sister of actor Y. G. Mahendran's wife, on February 26, 1981, at the age of 31 in Tirupati, Andhra Pradesh and they have two daughters named Aishwarya Rajinikanth and Soundarya Rajinikanth. Latha currently runs a school named The Ashram. His elder daughter Aishwarya Rajinikanth married actor Dhanush on November 18, 2004 and they have one son named Yathra. His second daughter, Soundarya Rajinikanth, works in the film industry as a director, producer and graphic designer. tamil Comedy Videos : Vadivelu(10) South-Indian-Recipes(11) Hot: Indian-Bikini(8) "Selena Gomez(11)"